A impressive banana palm near the entrance to the gardens. 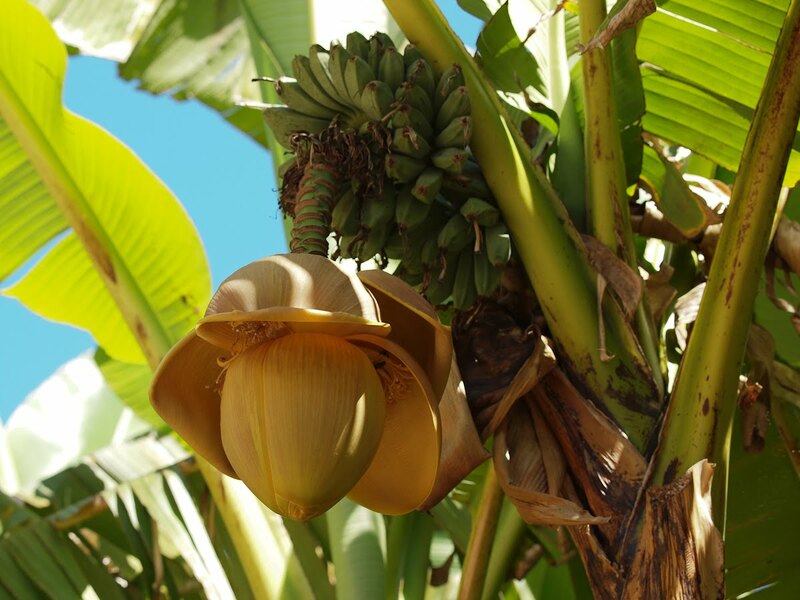 Un bananier impressionnant près de l'entrée du jardin. That just looks so warm and tropical Jilly, so good!! I've never seen one close up--thanks for showing it. Nope. We certainly do not have those palms in Connecticut. And nope...no banana trees in Mammoth either!!! 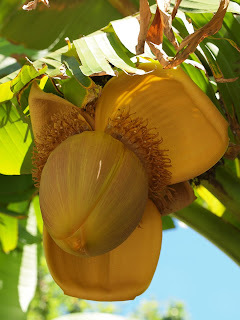 Banana flowers are usually a deep burgundy colour. Interesting that this one is more like golden. I wonder if it's a decorative variety or just a different type? I'm really enjoying the tour of these magnificent gardens with you.